The new AirPods are expected to be water resistant and come with a chip to access “Hey Siri” voice commands. The headphones will rival products from Bose and Apple's own Beats by Dre. Apple seems to have pushed the launch of its high-end AirPods and studio-quality over-ear headphones for next year. People familiar with the matter have told Bloomberg apart from the new AirPods, the company will also release the next-generation of HomePod in 2019. Previous reports have suggested that the Cupertino-based giant will be bringing the second gen earbuds in 2018. The new version of the AirPods may come with a new chip that lets users access Siri via the ‘Hey Siri’ voice command, without the need to tap the earphones. The current AirPods requires users to double-tap the side of the device to bring up Siri. The pair is also said to to come with improved water resistance. Obviously, you won’t be able to submerge them in water, but they could survive rain and splashes of water. The sources also revealed that Apple is trying to increase the range in which AirPods can work away from an iPhone or iPad. Future AirPods may also come with biometric sensors like a heart-rate monitor. 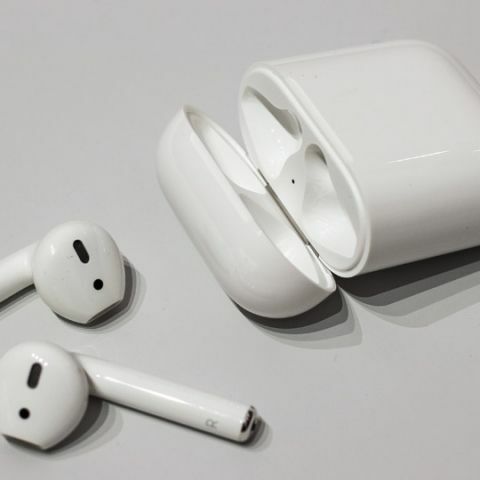 The 2019 AirPods are expected to cost more than the existing $159 pair and may come with a wireless charging case that is compatible with the AirPower charger. The AirPods were launched alongside the iPhone 7 and iPhone 7 Plus in 2016 and Apple claimed that the built-in battery works enough to offer 5 hours of use on a single charge. As far as the the over-ear headphones are concerned, these wireless hearables are expected to rival offerings from other headphone manufacturing companies like Bose and even Apple's own Beats by Dre. The company is developing these headphones with active noise-cancellation (ANC) and they were earlier pegged to be launched by the fourth quarter of this year, but faced development challenges and are now targeting a launch early next year. “Work on the Apple headset has been on-and-off over the past year. The company encountered similar problems with the HomePod during its development, including multiple redesigns, according to the people. It’s possible Apple will redesign the headphones again before launch, or scrap the project altogether, they warned, asking not to be identified discussing private development work.” a report had said earlier.